Welcome back to Messier Monday! Today, we continue in our tribute to our dear friend, Tammy Plotner, by looking at the Southern Pinwheel Galaxy – also known as Messier 83! One of these objects is the Southern Pinwheel Galaxy (aka. Messier 83), a barred spiral galaxy located 15.21 million light years from Earth in the southern constellation Hydra. 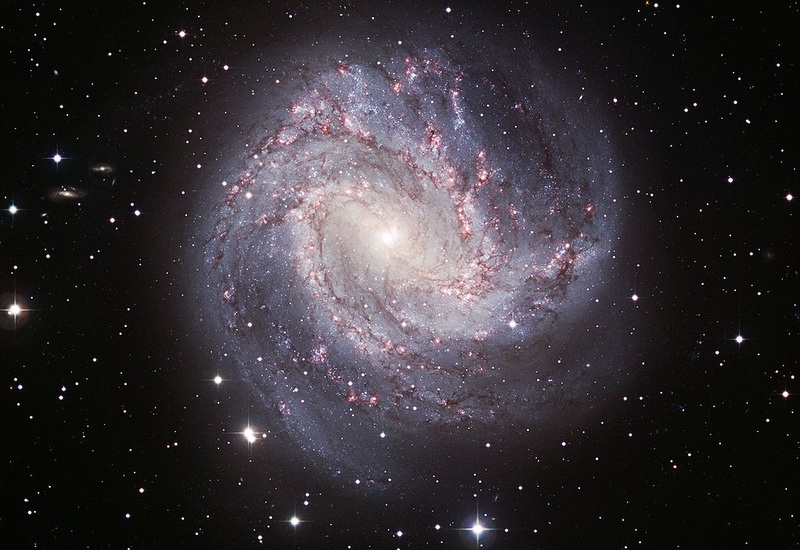 With a spatial diameter of about 55,000 light years, or roughly half the size of the Milky Way, M83 is one of the nearest and brightest barred spirals in the sky. Because of Messier 83’s low southern position, it is somewhat difficult to find in the northern hemisphere, despite it’s magniude and size. Start by indentifying Gamma or Pi Hydrae. From Gamma it is about a fistwidth northwest from Pi about a fistwidth southwest. If you are in the southern hemisphere, locate Iota and Theta Centauri and simply starhop 1, 2, 3, 4, 5 to M83. From the north it will require at least a 3-4″ telescope and dark skies, while southerns can spot it easily with small binoculars. Wishing you luck in finding it! Man…. she sure knew her stuff when it came to Messier (and probably a great many other things).